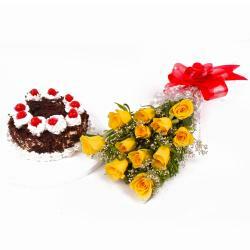 Celebrate the moment of years of togetherness and gift your someone with this special gift and thank her / him for the effortless love and care has given to you. 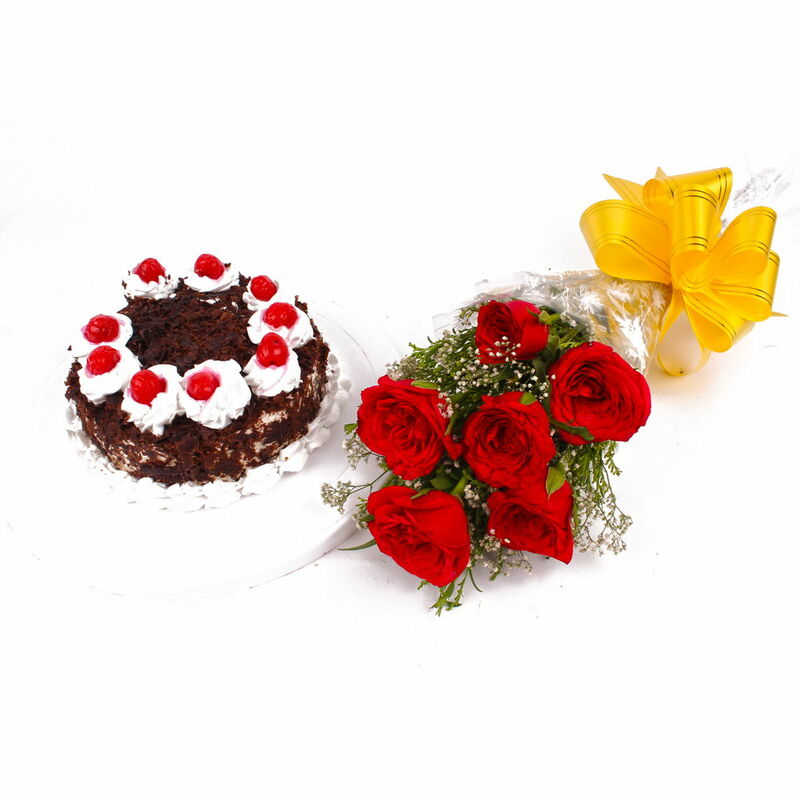 This gift combo has a bunch of six red roses along with Eggless black forest cake which will express your love and will convey your message that he / she is the perfect match who has managed your life and filled it with love. 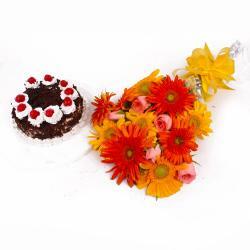 You can gift this fabulous combo to your loved ones and friend on special occasions like Birthday, Valentine’s Day, Anniversary, Mothers Day, Fathers Day etc. 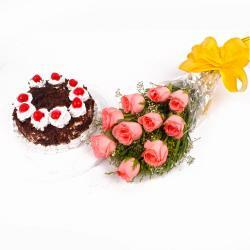 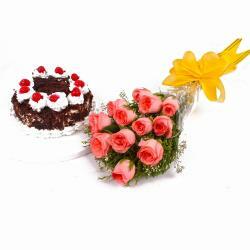 This gift hamper contains : Bunch of 6 Red Roses along with half Kg Eggless Black Forest Cake.